St. Clare and St. Thomas Aquinas parishes have been collaborating for a number of years and are now sharing one priest, Father Ed Tlucek. It was under the direction of the Archdiocese of Milwaukee that Vision XXI was issued, in 2009, to address the priest shortage. Our two parishes are considered a “Cluster” or “Linking” of two that collaborate on a regular basis to advance our individual parish needs. Please see our Wind and Water page HERE for more information including the strategic plan in place for the two parishes. We share many liturgical events and warmly welcome St. Thomas’s parishioners to participate in St. Clare activities and vice versa. It is truly a sharing of God’s gifts. 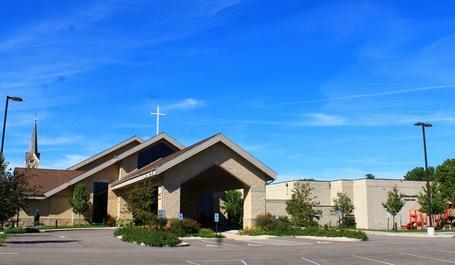 Click here to go to St. Thomas Aquinas Parish Website.